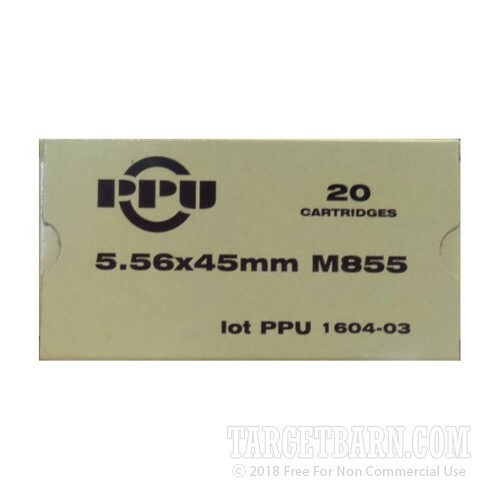 Owners of AR-15s and other .223/5.56 NATO rifles will appreciate the reliability and consistent accuracy of this mil-spec 5.56 NATO ammo from Prvi Partizan. 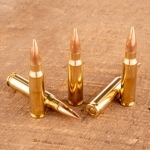 Each round in this box of 20 propels a 62 grain full metal jacket bullet to a muzzle velocity of 3,050 feet per second. 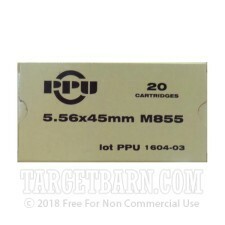 This ammo conforms to the M855 military standard and can be used alongside other M855 ammo with minimal adjustments to your optics. 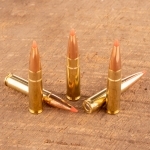 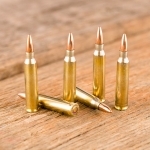 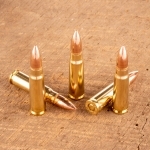 Prvi Partizan is a Serbian ammunition manufacturer that is known for producing a very wide variety of quality ammo in hundreds of calibers using non-corrosive primers and reloadable brass.